See if this sounds familiar. 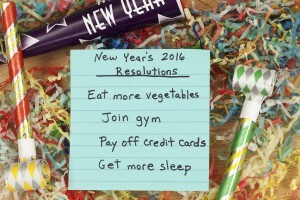 New Year rolls around and you get excited to make changes. Doesn’t matter what they are. Eat better. Exercise more. Spend less. Save more. Read more. Watch TV less. Get organized. And the list goes on. First week of January you’re all pumped up. This time, this year, it’s gonna be different. By week three, your enthusiasm has started to fade. I mean, who wants to get up at 4:30 AM to exercise when it’s cold and dark and your bed is warm and comfortable?